Our Explanation of Bank Reconciliation will show you the needed adjustments to the balance on the bank statement and also the adjustments needed to the balance in the related general ledger account. A comprehensive example is given to illustrate how to determine the correct cash balance to be reported on a company's balance sheet. This 20-question quiz is a fast way to assess your understanding of the Bank Reconciliation Explanation. It's also a great warmup for our Quick Tests. Our visual tutorial for the topic Bank Reconciliation provides you with the reasons why the bank reconciliation is important and also an easy-to-follow format. We then prepare a sample bank rec to tie everything together including any required journal entries. As usual, the visual tutorial ends with a 20-question quiz to let you know what you know or don't know. We've answered 42 popular questions related to the topic Bank Reconciliation. Review them all or use the search box found at the top of each page of our website for your specific questions. Our flashcards for the topic Bank Reconciliation will help you master key terms and definitions. You can view them on any device or print them out. 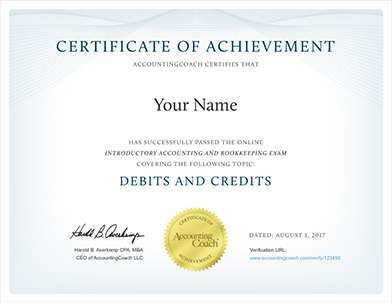 If you find Bank Reconciliation terminology difficult, this Word Scramble will provide clues (scrambled answers) to assist you. We created this crossword puzzle for you to learn, review, and retain terminology for the topic Bank Reconciliation in a more fun format. Our two bank reconciliation forms will help you to identify which adjustments are to be made to the general ledger accounts and which pertain to the bank balance. All of our business forms contain an Excel template, a blank PDF form, and a filled-in PDF form. Our Bank Reconciliation Cheat Sheet discusses the typical adjustments needed for a company's bank statement and for the company's general ledger accounts. This graded 20-question test measures your understanding of the topic Bank Reconciliation. Discover which concepts you need to study further and enhance your long-term retention. All of our quick tests can be taken online and/or printed. This graded 25-question test measures your understanding of the topic Bank Reconciliation. Discover which concepts you need to study further and enhance your long-term retention. All of our quick tests can be taken online and/or printed. This graded 15-question test provides coaching to guide you to the correct answers. Use our coaching to learn the WHY behind each answer and deepen your understanding of the topic Bank Reconciliation.